Global Correspondent, Gary Arndt joins Paul to talk about his latest adventure which combined storm chasing with eclipse watching. Of course joining a storm watcher tour requires clouds and watching the eclipse requires clear skies. So that means a lot of driving. 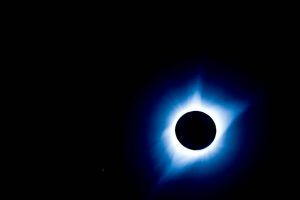 Gary describes the advantages of having a van and a driver who knew the territory along the path of totality. You can check out some marvelous images Gary has taken on his travels at his Instagram account here. 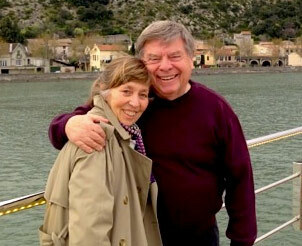 Gary Arndt visits with Paul and Elizabeth to share his stories from a trip of a lifetime: driving through the Balkans. Gary tells all, from road conditions to accommodations and more. He shares what he came across on his trip in various locations including history other details you might not learn any other way. 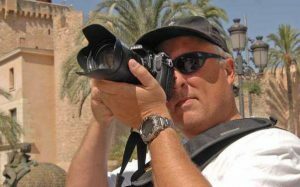 Global Travel Correspondent Gary Arndt shares his impressions of having a home after more than seven years on the road. Of course he has one GIG internet so that is good and he hasn’t actually packed his backpack for several weeks. Gary Arndt visits India with G Adventures and National Geographic. He takes a side trip to the Taj Mahal and was impressed although he was more impressed by the crowds which would have prevented him from taking photographs. However, he relied on his guide and found the way to take great photos of the Taj Mahal without the crowds. Gary shares his tips and impressions with Paul.